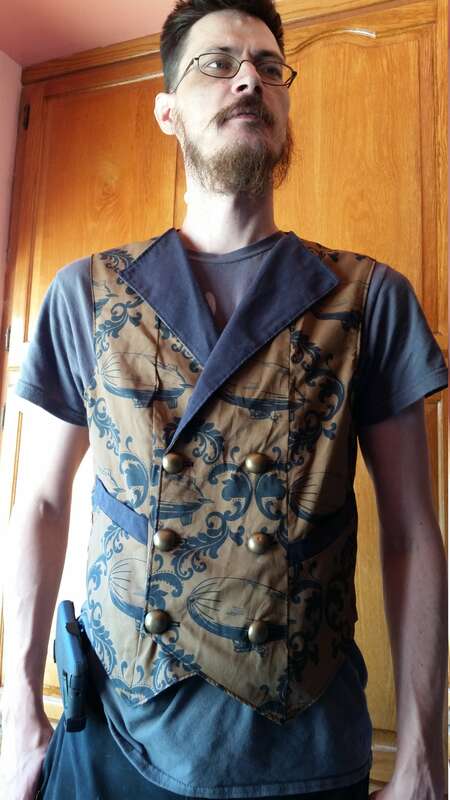 Cutom Made Steampunk Airship Double Breasted Vest with Pockets- Lord and Lady Towers Exclusive Fabric! 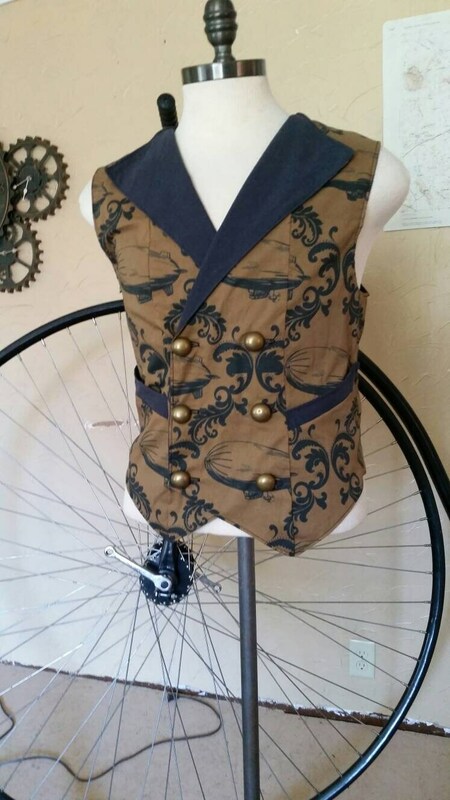 These amazing vests are great! Featuring a Lord and Lady Tower's Exclusive Fabric design, you wont find anything like this anywhere else. 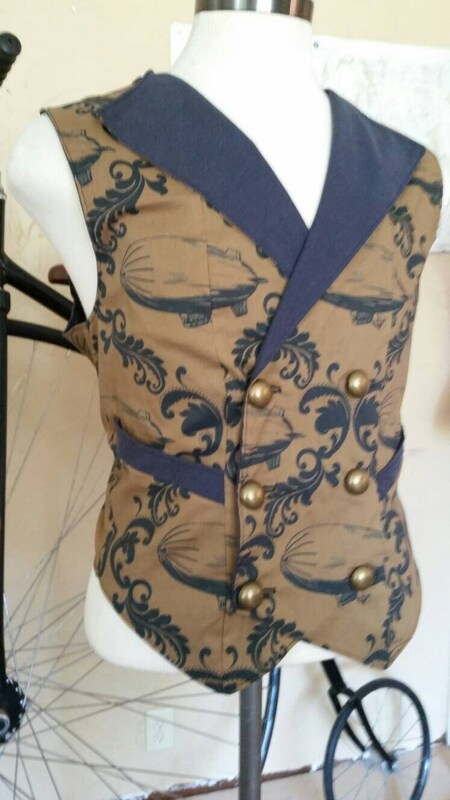 Featuring a unique airship brocade pattern, these double breasted vests are fully lined and feature 6 Brass dome buttons and functional pockets. Made upon ordering, and may take up to three weeks before shipping out. 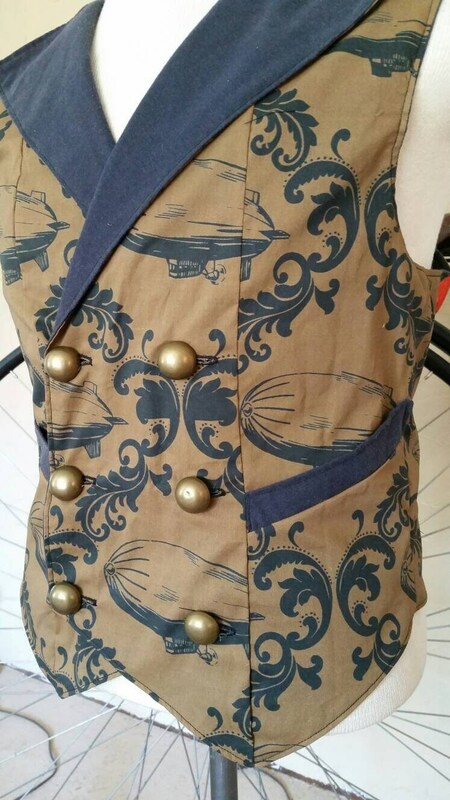 -Lord and Lady Towers exclusive fabric with airship brocade pattern. -Each is hand made, so pattern may be laid out slightly different each time. -Designed for men but fit women great too! Looking daper, debonair, or dashing. 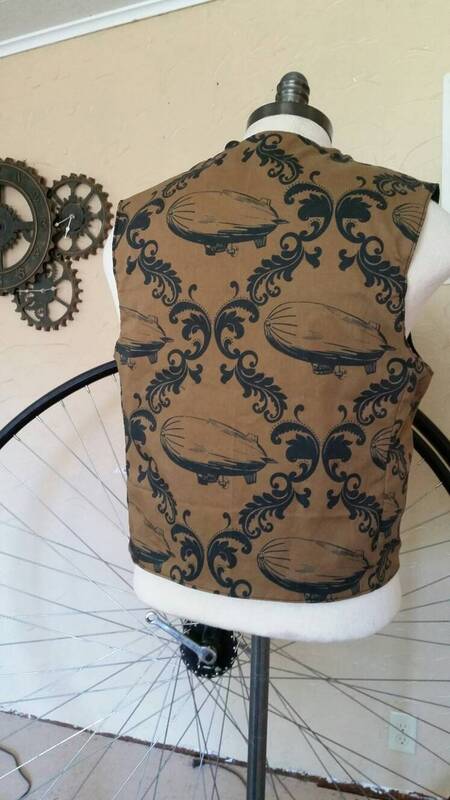 Great for steampunk outfits, diesel punk, atom punk, rockabilly, or just for looking dang good. 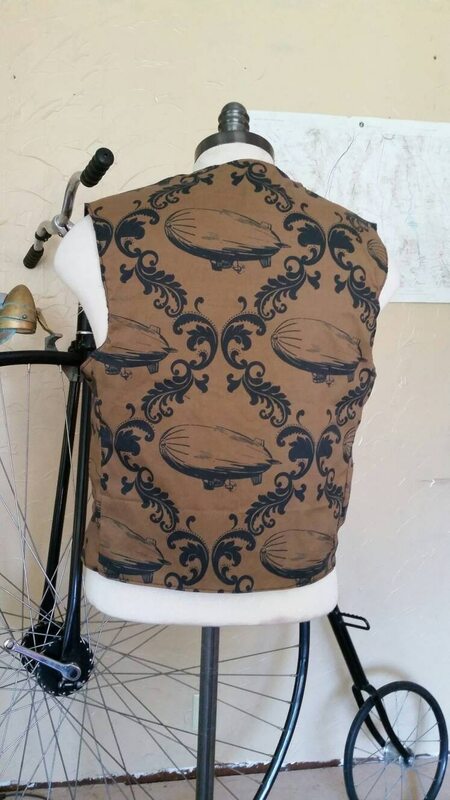 Great for airship and dirigible pirates alike.